Gonzalo Maza likes women — especially complex ones. Both Gloria and his latest film, Una Mujer Fantastica (A Fantastic Woman), for which he was awarded Best Screenplay at Berlinale, celebrate female endurance and resilience. So it was no surprise that Gonzalo, when I met him at the dimly-lit cafe at the London Film School, proposed, apologetically, that I lead the way, as long as I fed him. The cash machine had just swallowed his card, he was one week late on a deadline, and, with no cash or accessible money in his pocket, he was back to being a penniless screenwriter from his younger years. 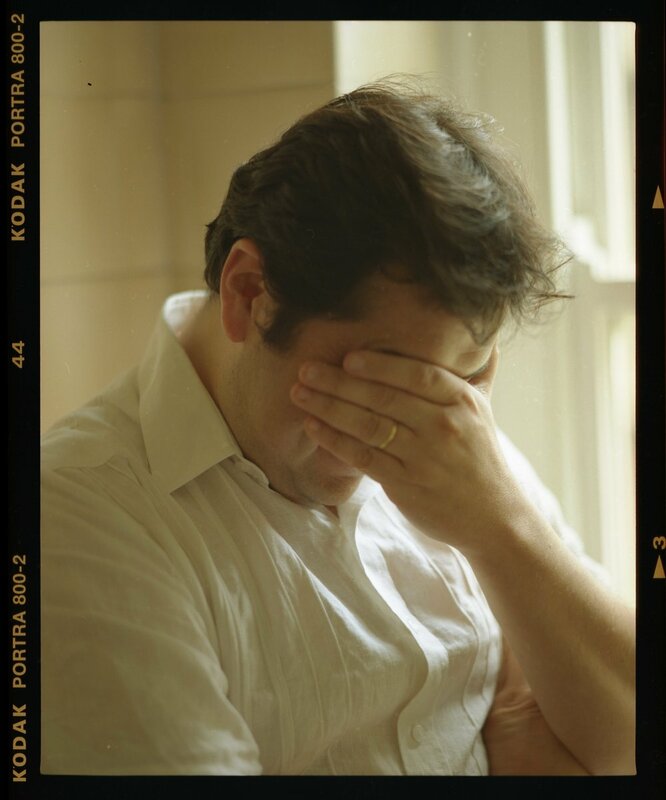 It was the least I could do for him in his frazzled state, which I soon came to realise was a constant for this prolific screenwriter who is always fighting against the next deadline. To talk of Gonzalo Maza’s life and work is to speak of a man who is on a quest to understand the human condition and is willing to risk reason in doing so. In his eternal mission, one still sees a teenager in the forty-two year old who exclaims he loves “the contradictions of melancholy and cheery beats of Britpop” — a juxtaposition that runs through his work. Born in Valparaiso, Chile, a port city not far from Santiago, he spent most of his childhood in a beach town nearby, Viña del Mar. A cinephile since he can remember, Gonzalo’s first job was working as a VHS store clerk for his mother’s store, but it wasn’t until an exchange program at the University of Texas that his hope of pursuing screenwriting was solidified. Since his powerful collaboration with the Chilean director and good friend, Sebastián Lelio, Gonzalo has decided to pursue a Masters in Screenwriting at the London Film School, and a PhD exploring the use of current events in screenwriting. I first encountered Gonzalo’s work in my early twenties when I was back in my hometown, Santiago, and experiencing what some refer to as post-graduation existentialism. I walked into the national cinema buried underneath La Moneda, the national palace, to watch El Año del Tigre (The Year of the Tiger), the only feature film Gonzalo has been the sole writer for. I left the cinema that day deciding I wanted to tell stories that were simple and poignant, and since then have observed Gonzalo’s work and knack for tragicomedy with great admiration. 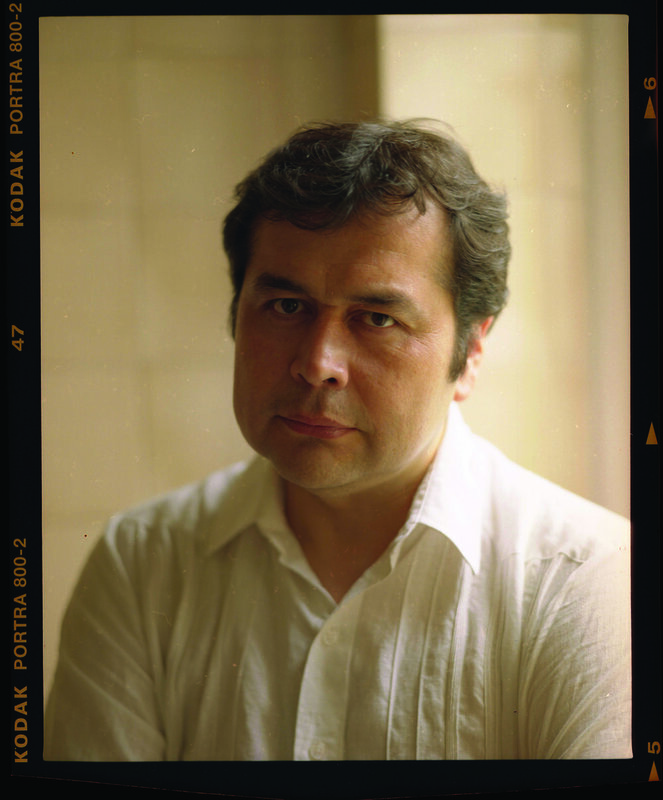 I sat down with Gonzalo in a quiet courtyard in Central London to have a chat. I wrote a short story once and showed it to a teacher. He didn’t like it. He wanted to change the end. Then I showed it to my father, he didn’t like it either, or he didn’t totally understand it. So I ended up dedicating myself to math, but I always liked journalism — I wrote for a school paper, I had a column, I took workshops and so on and I was also part of a theatre group. When I joined the theatre group, I wanted to be an actor but I quickly realised I had no talent for that - which was very liberating. But one day I wrote a play. This was all when I was about 12. I wrote the play in one evening, showed it to my professor, he liked it — it was very funny. So we got together as a class to make it play happen. We went on to win some awards and went to a national theatre competition. That was my only ‘dramatic’ event. Then I just dedicated myself to journalism, studied it and continued on that career path. Until 1999 when I did a year abroad at the University of Texas where I took lots of film classes. In this class, I realised that I really liked this medium, and it was what I wanted to do, but I had no idea how to go about it. I had a friend who worked for TV in Chile, so I started writing for TV where I learned lots about docudrama and melodrama. I worked on one TV series that would take real-life events and sort of have a talk show. They would take articles written in magazines and create fictionalised cases on them. That was a really good learning process for me, because they had pretty low expectations and it gave me more liberty. No one ever told me I was any good, but that was my melodrama school—in its purest form, very Latin American. Then I quit journalism completely and joined a production company that did television for children. I was a producer on this show and wrote various episodes. This is when I met Sebastián Lelio, who was finishing up his first feature film, and I wanted to know if he wanted a screenwriter. He didn’t want a screenwriter, but at the same time he needed one because he didn’t really know how to take on some elements of writing. I told him I wasn’t a screenwriter with much experience but thought we could get together to work on certain things and bounce ideas around and talk. So, we would get together and just talk about films. What kind of stories or characters are you attracted to? There are two things I am very attracted to. One being people who try to seem strong, externally, but are weak or emotional at heart. I think people hide emotion a lot. That get’s me excited - people who hide their feelings. And what excites me even more is when a person who hides their feelings, knows how to hide them really well. Those kind of characters are very touching to me. And I always find myselfgravitating towards that. Even though we don’t know where that pain comes from, I like the mix those characters create. I like Britpop a lot, the basis for which is sad lyrics set against upbeat melodies. I think my spirit towards life is absolutely happiness, but in my interior I’m a very sad person. And that — which happens to me, happens to everyone. So, I tend to do two things if I am stuck. One is if the character is a man, I turn him into a woman and he becomes infinitely better and more interesting. If they are kind of flat, I just turn them into women and they automatically have problems or just come into being and have more shape. Or I go back to this premise of people who hide their feelings. In fact, at the moment I am editing a film I wrote and directed, my first feature I’ve directed, where that is the main conflict I’m tackling. How do you show that construct of happiness and sadness at the same time? It’s generally easier to do something like this through comedy rather than drama. I’m more attracted to comedy. I don’t know if my comedy is that funny, but I still laugh at it. I think I also belong to the school of anti-male. What do you mean by anti-male? I guess it has to do with my upbringing. I went to an all boys school and hated it, I thought it was very prosaic and primitive. I just found it very primitive. I just don’t find men very interesting. What I find interesting is their blindness and not being capable of seeing themselves as they actually are. But I just find women more interesting. I’ve always listened to women, everywhere I go I want to talk to them, it’s the world I want to know and understand. I think they are funnier and entertaining and I admire them. In college, I would be in love with a girl and in my eternal insecurities and fear, I never told them anything. So I always liked being the friend that was close and could hear everything they had to say, rather than confess my love which wouldn’t amount to anything, they would reject me and I would just be miserable. And on top of that, I wouldn’t be able to hear the stories anymore. So, I preferred staying with the experiences these women would give me. The character of Gloria is very much like the actress who played her, did you have her in mind before you started writing? We started writing Gloria when we found this character of our ‘mothers’, just this world of our mothers that no one pays attention to, or falls into the background in life. A woman of a certain age, she’s an old lady; she has no more meaning in her life, and therefore is neurotic, and therefore, is everything we complain about. Someone that complains, is bitter. So we saw that and realized how unjust it was to view certain women this way, as a society. So based on that idea, we decided to make a film about our mothers, and then started investigating it until we found Paulina Garcia. I remember being in love with Paulina when I was younger, when she was acting at 18, but we eventually thought of her and started looking through her Facebook photographs. We realised we kept talking about her and had to ask her because the film, wouldn’t exist without her. So she came over, and we pitched the idea to her. She liked it. So it was a kind of mix between an idea that we wanted to explore and Paulina who was the character and actress we imagined. A kind of character we thought only existed in Chile and had no idea it would be so universal. Did you specifically think about post-dictatorial Chile in your writing of Gloria? I think that film and politics are inevitably intertwined, a film is political because it belongs to a time and place. And when you have a characrer in a specific space, it is a document of that time and place. We all live in political moments and we are a consequence of that. So that was something we took into account. Seeing the generational difference between our mothers and the students who were out in the streets protesting, it was a very strong contrast between Gloria’s generation who didn’t protest at all. They protested against the government but because of that it meant they were constantly thinking of others, especially if a family member was missing or killed, and they always put their needs in second place. These women were always putting themselves in the second place, never really having a moment for themselves, to liberate themselves, have their moment of glory. In that sense, the film is political. Tell me a little about the process of writing El Año del Tigre and your integration of current events into your writing? The character in The Year of the Tiger doesn't talk as much, but his internal process is very interesting. Due to external circumstances, he escapes from prison, goes looking for his family and ends up wanting to go back to jail. Which is something that happens a lot, where prisoners get out and come back banging on jail doors trying to get back in. It’s almost comedic. This film was combining two current events which I saw back to back — one was people escaping from prison after the Chilean 2010 earthquake and the other one was someone who found a zoo tiger loose and killed it. And then I thought about the tiger’s story — a tiger who has been incarcerated his entire life in a zoo finds his way to liberty through this earthquake but is eventually killed. So I saw those two stories and just thought - there is something here. It’s a slightly mystical film.So I called Sebastian and told him about it and we shot the film about 5 weeks later - it was a fairly quick process. Tell me a bit more integrating current events into your writing? I think most of screenwriting books are based on formulas and recommendations to improve your characters, structure or dialogue, and I think many of them can be very useful for your writing. But writers have to stop and see ourselves as mere cooks, creating trendy recipes or architect's drawing buildings for someone else. I think we should explore different techniques based on other disciplines as acting, documentary and journalism. I believe in improvisation for writers, in the same way Cassavetes and Mike Leigh explored improvisation with their actors. But since we are not actors, I don't think we should explore ourselves. Actually, quite the opposite: we should hear the call from the external world. We need to explore the world. Right now, most of the writers I know like to compare their characters and their stories with books, films and TV series they like. And I'm totally against that. Actually, I try to watch the least amount of TV series I can. Because I think our call should be totally different. We should focus our storytelling efforts on trying to portray and decode the outside world. The ’real’ world, but not in the sense of ’realism’ or ’Reality TV’. We have so many things to learn from real people, real events, real dialogue. Most screenwriting books, especially American ones, have this idea of reality as something boring, chaotic, indigestible and we, the writers, are the ones to make it edible for audiences. I'm totally against that. I don't think we work for the audiences. We work for the world, which is not the same. We are the witnesses of our time, and we are writing the chronicles of our way of living for the future. We are in charge of portraying our desires and fantasies. In a way, I believe in the old school of chronicles written by journalists. Since journalism became something completely different, we have to answer the call to fill that position in our time. I enjoy being around younger kids. I feel very part of this younger generation, but I get this feeling that it never changes. You are always going to be anxious, insecure, and it’s hard to write, and it never works the first time. I think the myth of a genius has damaged art a lot. They are artist and craftsmen and hone in their skills. So I think this idea that a genius can do it faster is just wrong and not right. I like Carlos Flores, he the director of Film at the University of Chile. He coined this phrase (chimbarongo) taken from Don Quixote called “unreflextive progress and ‘methodic relapse’. So when you want to make a film you just do it and go, go, go and do it. Then once you are done there is a retrospective progress and analysis. I think when it comes to cinema, too much thought is damaging. Too much consciousness in film. I think you need to be unconscious, I think it’s a mistake to live in a state of consciousness. It doesn't solve anything, just points out the flaws. I think you need to be unconscious. I think the solutions for a script come from somewhere we don’t really know, unknown. A second draft does not get fixed by looking at it mechanically, instead I think it’s by throwing in random elements or something weird that brings it to life. I think it’s important for something to make no sense, but taking hold of that and embracing it in the script. I started writing a script based on the idea of ‘primal scream’ and I started investigating. I started just with a word not even an idea. It was a psychological idea from the 70s where people don’t speak or go through consultations but emit sounds or grunts as a process of therapy. Although it’s completely discredited now, it was pretty popular in the 70s because John Lennon and Yoko Ono spoke about it. It’s based on our anxiety and the idea that your scream or yelling can liberate that. So I just liked the name and thought it was crazy and didn't know what it was about - so I ended up basing an entire film on it. And then when people ask what I wanted to say with this, I have absolutely no idea. I just channeled something I found interesting. I think that is the problem with British cinema today — it’s very conscious of itself. Conscious of structure or society? Conscious of itself of its social conditions, of its political climate, and it does not give itself to unknown territory and believes that doing so is pretentious. Almost French, or too artistic, or too artsy fartsy as well. And I think that kind of film is looked down upon. I do think sometimes it can be a very cryptic kind of filmmaking, I think the mix of both is great. Between knowing and not knowing. Life is like that, most of the things, we do not know. We live in a world of unknowns. So pretending like the scriptwriter knows everything and is a God is a bit unrealistic. So for me, that is very important - to always guide myself towards the unknown and mysterious things in life. It’s curious, the English value intelligence from a perspective of consciousness when I think intelligence is not always conscious. The biggest genius of cinema is Hitchcock who is the most conscious person in the world, but he was very aware that the central aspect of his filmmaking was the unconscious, of a character, a murder asking themselves who am I? Am I a murderer, am I not? I love Hitchcock. I think he brings together everything I want to do. I think he is the best film school. Just watching all of Hitchcock - and you have narrative, I love Vertigo, Marnie. I always change my favorite Hitchcock film, but I just think with Hitchcock you get everything. I think if anything doesn't work - just do it the Hitchcockian way, add some suspense, add some element of the unknown and it will get better automatically. If you wish you had written any film, what would it be? There are plenty of films I love its writing. I truly love Cassavetes films, specially OPENING NIGHT and LOVE STREAMS. I love perfect comedy scripts as the ones by Jeffrey Boam like INNERSPACE (a film I've seen at least 30 times), THE LOST BOYS and THE DEAD ZONE. I truly admire MEAN GIRLS (by Tina Fey) and everything written by Jim Taylor and Alexander Payne (especially, ELECTION, or as I prefer to call, Best Film Ever). I envy all these writers. Of course, I admire the classics, all of them. Every good screenwriter should consider himself a vampire of Hitchcock's storytelling techniques.